The Ratel (AKA Honey Badger) is one serious animal - highly intelligent, without fear, and relentless. It knows what it wants, and nothing gets in its way. 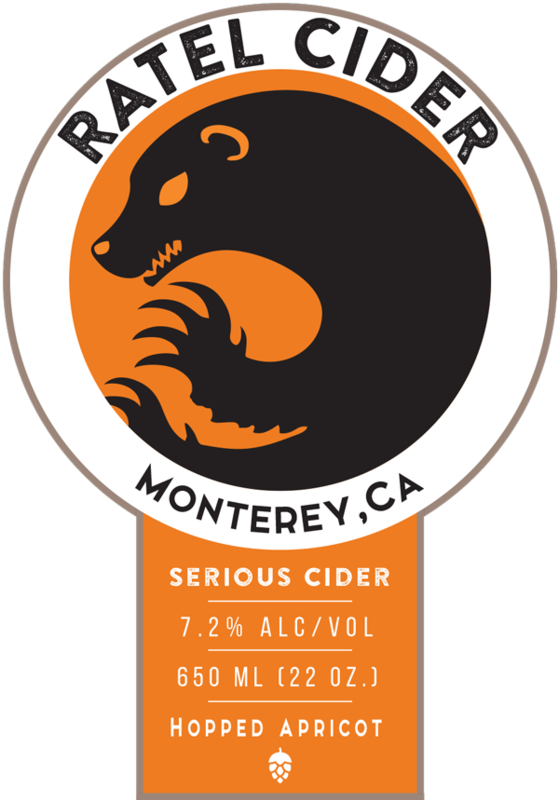 Ratel Cider is the culmination of our unrelenting quest to produce a beverage of distinction – one that stands out from the crowd – just like the badger. Ratel Cider is a craft cider company based in Monterey, California with a tenacious desire to bring a serious, high-quality, bone-dry craft cider to the market. Ratel Premium Craft, Dry-Hopped Cider is made with four different varietals of local apples. 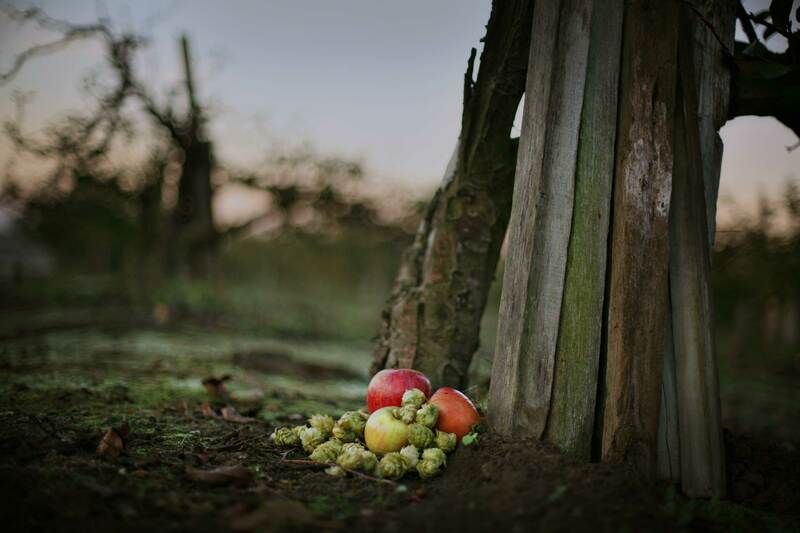 We have spent three years dedicated to finding the perfect blend of tart, sweet and sharp apples to create the perfect cider. We ferment our cider bone-dry and add rare fruity, floral premium hops. Ratel Cider is gluten-free and does not add water or any concentrates. Ratel Premium Craft, Dry-Hopped Cider is an exciting and interesting creation that changes with age. Like a maturing badger, as it ages it mellows becoming even more complex, taking on slight notes of citrus. The end product is a crisp, refreshing beverage with a tart kick and a floral, fruity aroma that will change the way beer and wine drinkers think about cider. Ratel Cider’s newest cider “Bright” is a semi-dry, limited production premium craft cider with a broad appeal. Three apple varietals and one pear varietal with a very subtle hop addition. Much less hop forward than our flagship cider, Bright is incredibly clean and crisp with subtle pear notes. At 7.1% ABV, it is easy to drink and pairs exceptionally well with a wide spectrum of foods. 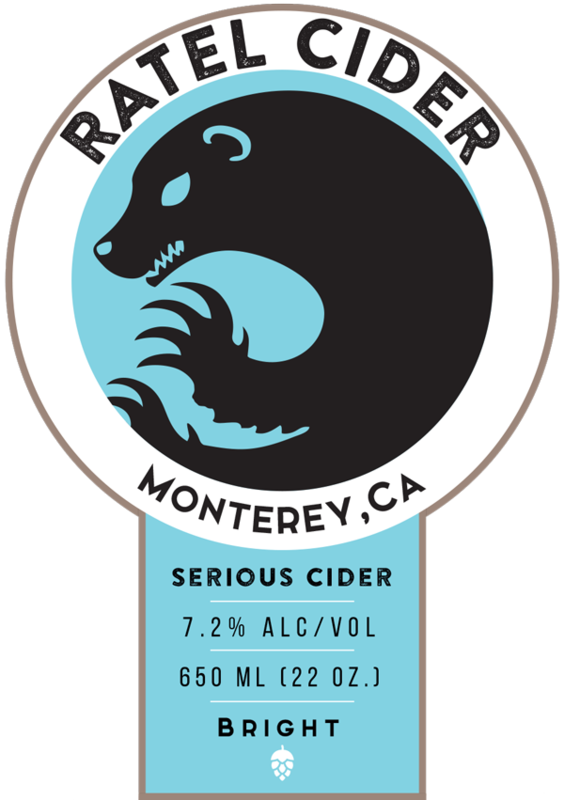 Interested in having Ratel Cider delivered to your home?